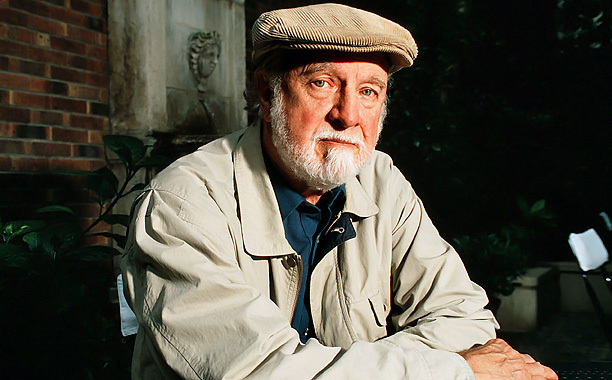 This is Richard Matheson's earliest story. It is very different from his sci-fi or horror work. It's a short story that I read in the "Noir" collection. I'm not sure if this was ever an American film but it's something that screams out to be made into a movie. The characters aren't super strong but there is a constant feeling that something isn't quite right. I guess you could call this American noir writing. 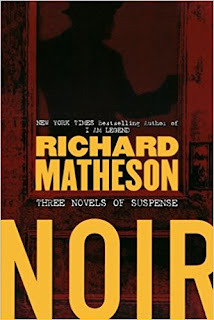 Though the story is only 154 pages Matheson takes his sweet time developing the plot and themes. He spends a lot of time on description and dialogue. He doesn't explain every little thing. Although the story takes place in sunny California a lot of the action takes place at night. Given some of the dark deeds and aberrant sexuality this contrast between light and darkness works. There's a very strong Chinatown vibe to this story, if that comparison works for you. This story is the spiritual Godfather to works such as Chinatown and Blue Velvet. A psychologically and/or morally damaged hero risks it all to save a strange beautiful woman who may not be worth the effort. In post WW2 California a veteran, journalism grad and writer named David Newton is taking in the sun on the beach when he meets a remarkably curvy blonde woman named Peggy Ann Lister. Well David is not the sort of fellow to let good things get away from him if he can help it. Despite the fact that Peggy initially seems only marginally interested in David, David holds up his side of the conversation well enough to pique what seems to be something close to attraction in Peggy. It's hard to tell what Peggy really thinks though because for reasons which don't need to be disclosed here Peggy has a profound distrust of the entire male gender. And once she knows David a little better she's not averse to telling him that even he is not really within her circle of trust. David flips back and forth between wanting to tell Peggy off and storm away from her and persist to break through her defenses to show her that he is that one in a million good guy who will never hurt her or make her do anything she doesn't want to do. Unfortunately David discovers that Peggy is, well "in cahoots" is not really the right phrase, and "involved with" may overstate things, so lets say "friendly with" her divorce lawyer Jim. Jim and David know each other from college. They didn't like each other then. They like each other even less now. David is upset to see that Jim has the hots for Peggy, something that the otherwise distrustful Peggy seems oblivious to recognizing. And the financially successful Jim intends to use any leverage he can in order to win Peggy away from David. That Jim is still married to Audrey, a woman he also won away from David back in the day, gives their rivalry a special bitterness. What makes things dangerous for David is that Jim has a barely restrained human pitbull named Steig watching over Peggy. Steig is a Chicago Outfit expat who will have no problem hurting David on command. Steig is over 250 pounds of violence in a can. Word on the street is that he's a former Nazi. Both David and Jim seem to know things about Peggy that the other man doesn't know. But when the bodies start dropping, David decides to do some investigating of his own into his romantic rival and into the woman that he loves. This leads into more murders, revelations of horrible secrets, a tense chase scene, suspicious police and some final confrontations that may or may not answer all of your questions. 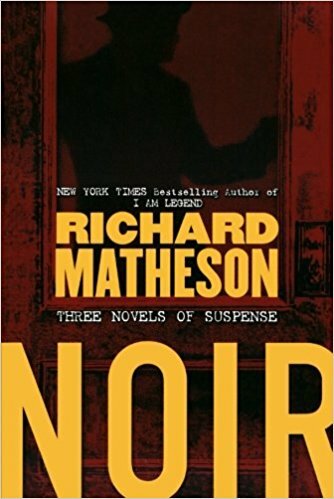 Although the pace of the story was occasionally a little slow for my taste it is a good example of noir fiction. There may not be any good guys in this story. It's told in first person from David's point of view but there is a brief moment where we get to see David from Peggy's standpoint. Her view may or may not be realistic but it's more in line with today's mores. There's also the theme of what exactly are masculinity and femininity? How do we define them and how do we need them. Peggy seems to disdain masculinity but can be very friendly with the self-described alpha male Jim. And David sees himself as a sensitive understanding sort but all the same there are things he wants to do with Peggy, things Peggy may not want. Some of the things that Jim tells David about Peggy, although clearly designed to get David to back off, also happen to be true. This information raises some warning signs for David and poisons his relationship with Peggy. Would you trust someone who kept secrets? We all have them. How many should we share? David wrestles with these questions. My main complaints are that David is a little too passive while the first person narrative too often turns Peggy into a cipher. She may appear that way to David at first but she is most assuredly not. 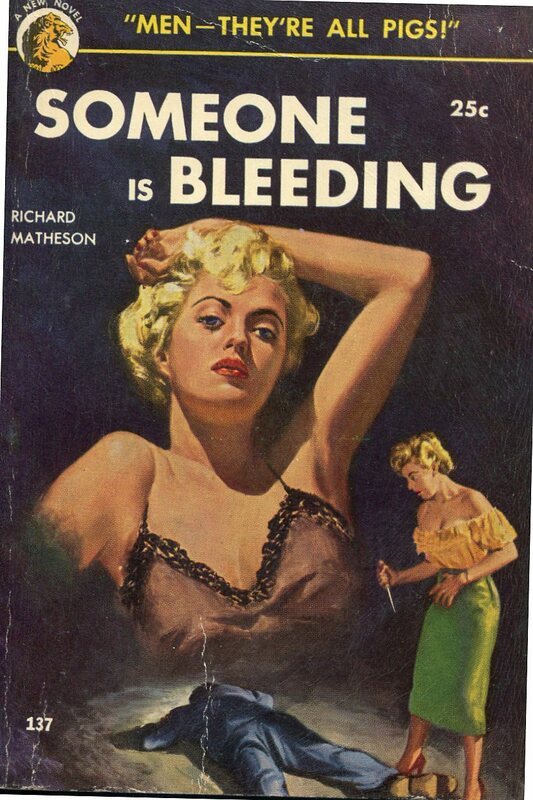 There's a little victim blaming that may make some modern readers uncomfortable (this book was written in 1953) but again the person who has these thoughts is not exactly a psychologically healthy individual. If you don't mind an occasionally wobbly mystery/coming of age tale this could be a story for you.